Sleek and contemporary, this pendant is the perfect accessory for fall and winter. 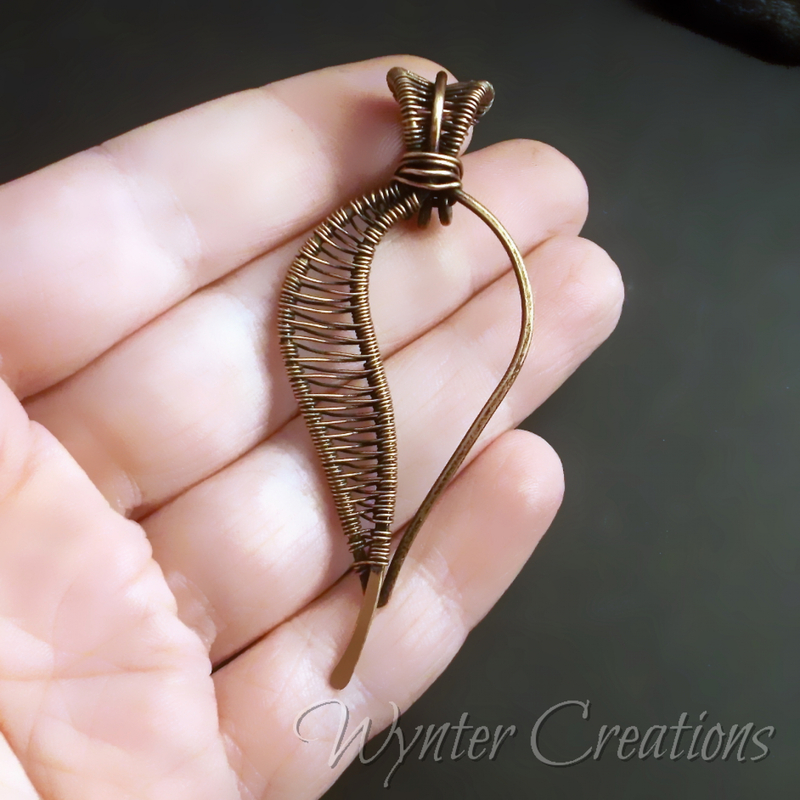 Constructed from hammered and woven copper, this pendant measures 7 cm (about 2.75 inches) long and 3 cm (a little over 1 inch) across a the widest point. 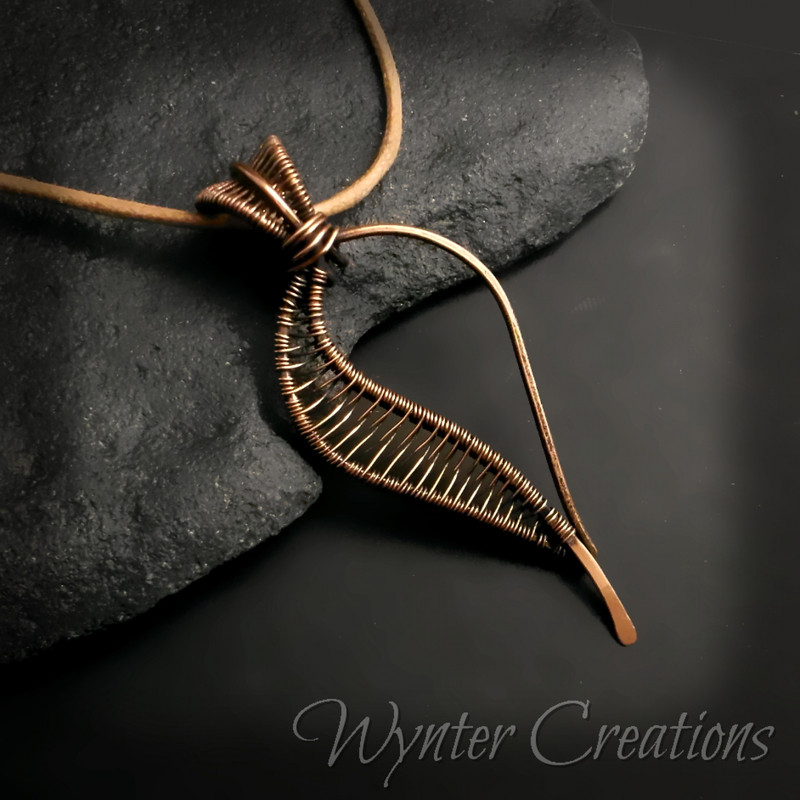 The Fallen Leaf pendant comes ready to wear with a vegan leather cord in your choice of length and color (tan or black). 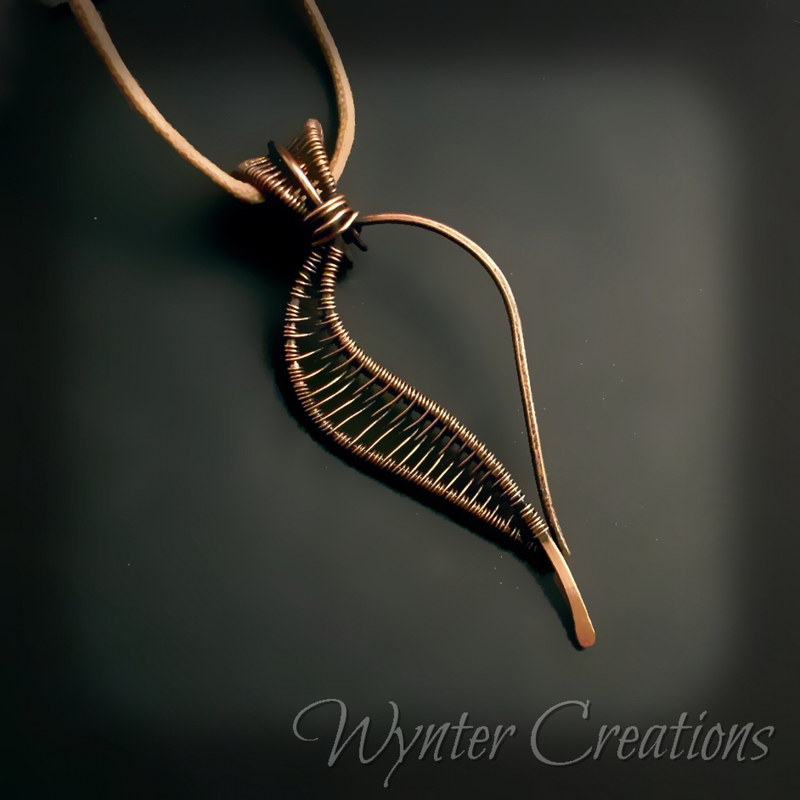 In the lore surrounding metals and gemstones, copper is thought to improve circulation and relieve pain. It's associated with the sun and with luck, and is believed to enhance the properties of gemstones.